Kung-Fu Belt Classes: Classes consist of initial warm up workout focusing on improving strength and cardio followed by instruction and/or practice of forms and weapons. 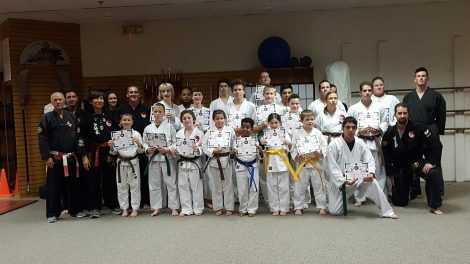 Our classes are designed to improve your coordination, balance and strength while promoting the ability of self-defense and self-control through mastery of martial arts. Tai Chi Classes: Classes are open to anyone with emphasis on toning muscles, improving breathing capacity, increasing flexibility and strength while developing balance and coordination. Tai Chi is a perfect alternative for individuals that are interested in a martial art that focuses on the internal energies rather than the external energies typically associated with Shaolin. Yoga: Come try one of the oldest forms of exercise known: YOGA! Our classes are designed for you. No matter your fitness and/or knowledge level–beginner to advanced–you can come take our classes at Yoga for Grant County in the Grant County Martial Arts Gym. Power yoga is offered at 5:00 PM Mondays and Wednesdays on a By Appointment Only basis. Free Intro Class is conducted the first business Monday of each month at 3:30 PM. See our students strengthen their minds and bodies with classic Chinese open hand and weapon Kung-Fu forms and strength training and conditioning. Stop by on Mondays or Wednesdays at 5:30 for your Free Martial Arts Class!